Caleus is the source of a unique substance known as forskolin. Forskolin supports heart health and healthy blood pressure already within the normal range. * By activating adenosin cyclase, cyclic adenosine monophosphate (cAMP) is increased in the cells. * cAMP supports blood vessel relaxation and healthy heart muscle contractions. 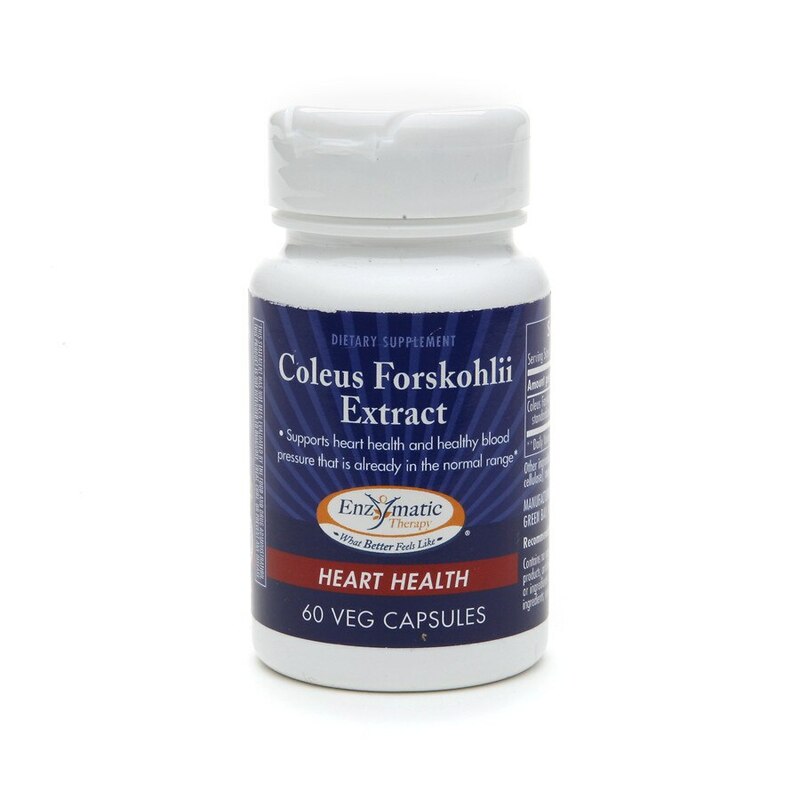 * Coleus Forskohlii Extract is analyzed and guaranteed to contain a minimum of 18% forskolin. Contains no sugar, salt, yeast, wheat, gluten, corn, soy, dairy products, artificial coloring, artificial flavoring, preservatives or ingredients of any origin. If pregnant, nursing, or taking prescription drugs , consult your healthcare practitioner prior to use.